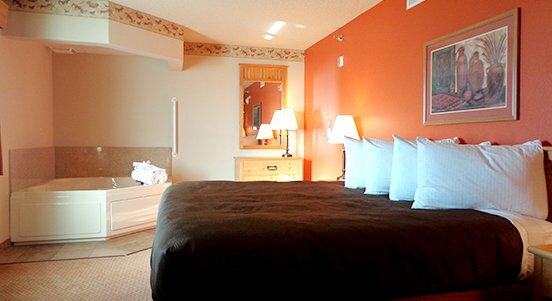 AmericInn Lodge & Suites in Sayre is an upscale economy hotel with a cozy two-story vaulted ceiling. A sound guard construction of thick masonry block assures you a quiet night. 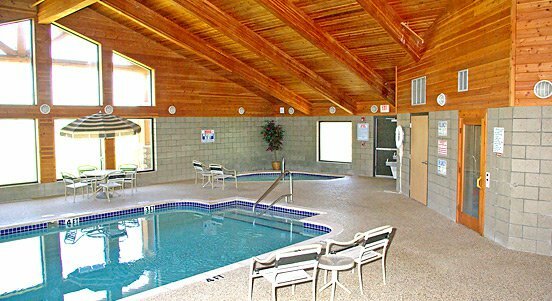 They feature an indoor recreation area including a heated swimming pool, whirlpool and sauna. The rooms are a mix of queen doubles, king singles, and specialty suites with whirlpools and/or fireplaces. 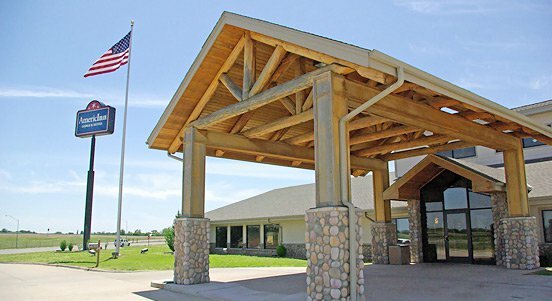 They feature data port connections, cable television, micro refrigerators and electronic locks in each room. Each guest room and the hotel lobby also offer free WiFi. Guests are invited into the comfortable lobby area with fireplace, genuine hospitality and complimentary enhanced continental breakfast. 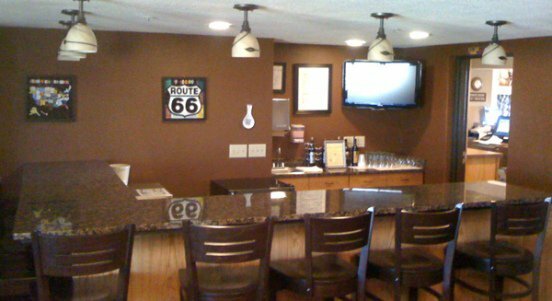 An on-site pub serving beer, wine, pizza, hot wings, chips and dip is also available. Located at Exit 20 on I-40 junction of I-40 & Hwy 283.